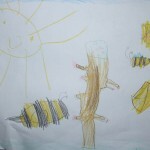 This entry was posted in Tehnica Apicola, Vibeeo and tagged apicultura germania, iwf.de by MyBees. Bookmark the permalink. Multumesc Alin, esti prima persoana care contribuie la ViBeeo.